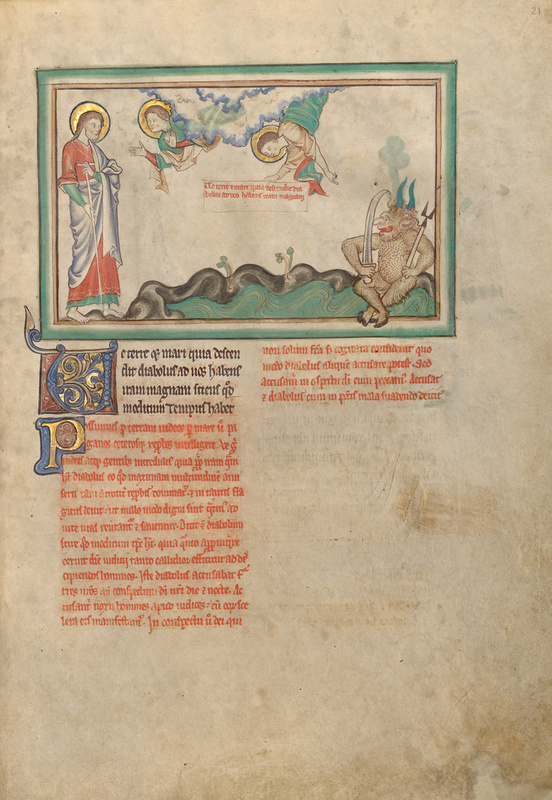 The illuminator depicted the devil, complete with horns and cloven hooves, holding a scimitar in one hand and a pitchfork in the other. He smiles gleefully at the prospect of his time on earth. An angel descending from the heavens holds a scroll recording the words that Saint John hears: "Ve terre et mari quia descendit diabolus ad vos habens iram magnam" (Woe to the land and sea, because the devil has come down to you, having great wrath).